Discover Your New Favorite Place to Eat! Great food, local vendors & fun for the whole family! Come check out our 31 food carts, indoor/outdoor bar & event space. 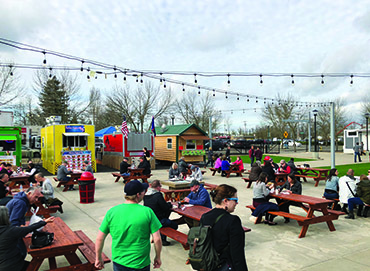 BG Food Cartel is Beaverton’s first food cart pod. Our pod includes 31 food carts with a wide variety of food and beverage options to choose from. We are proud to offer a space to showcase local vendors in the heart of the Creekside District – across from City Hall. In addition to the carts, our pod includes a speakeasy bar with indoor/outdoor seating and a rotating tap of alcoholic and non-alcoholic beverages alike. And don’t forget about our event venue large enough for 150 guests! Join us at BG Food Cartel for delicious food & beverages, exciting events, and a community environment for the whole family to enjoy. We’re excited to offer a variety of diverse food options for the local community. We have over 30 diverse food trucks each with their own unique menus. 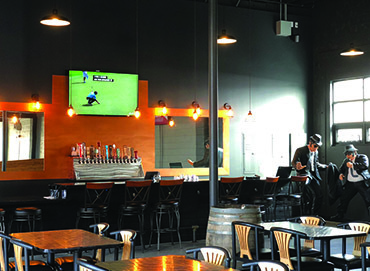 The BG Food Cartel offers local beer, wine, and non-alcoholic beverages from our “speakeasy” bar with indoor & outdoor seating in the center of the pod. Join us rain or shine! 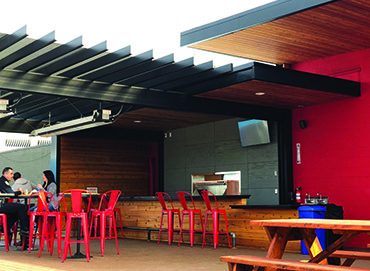 Our patio has covered seating with heat lamps so you can enjoy all the Food Cartel has to offer no matter the season.